Mitch Battros is a scientific journalist who is highly respected in both the scientific and spiritual communities due to his unique ability to bridge the gap between modern science and ancient text. Founded in 1995 – Earth Changes TV was born with Battros as its creator and chief editor for his syndicated television show. In 2003, he switched to a weekly radio show as Earth Changes Media. ECM quickly found its way in becoming a top source for news and discoveries in the scientific fields of astrophysics, space weather, earth science, and ancient text. Seeing the need to venture beyond the Sun-Earth connection, in 2016 Battros advanced his studies which incorporates our galaxy Milky Way – and its seemingly rhythmic cycles directly connected to our Solar System, Sun, and Earth driven by the source of charged particles such as galactic cosmic rays, gamma rays, and solar rays. 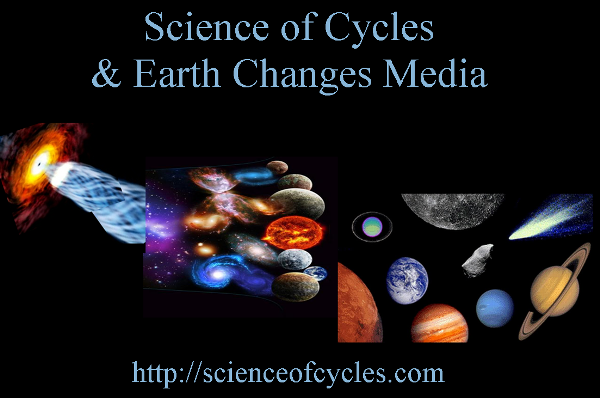 Now, “Science Of Cycles” is the vehicle which brings the latest cutting-edge discoveries confirming his published Equation.